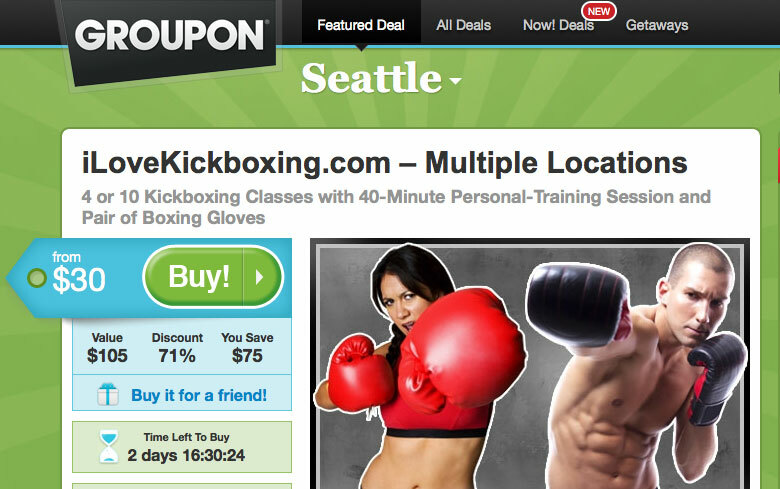 Alpha Martial Arts “I Love Kickboxing Seattle” program is featured on Groupon today! If you just bought the deal please call us at 206-528-3737 to schedule your first lesson at our AMA Bryant location (1 block N. of the University Village). You will begin with a group class and we will schedule your personal training session at the end of your 1st lesson. We offer Kickboxing classes on M/W evenings at 8:15pm, TU/TH at 12:00pm (noon), and Saturday mornings at 10am. Thanks and we look forward to “Fighting the Fat” with you!